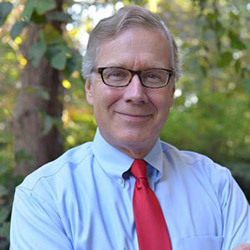 In a recent op-ed, Leslie Boney, director of N.C. State’s Institute for Emerging Issues, discussed North Carolina’s “rural-urban divide,” an upcoming conference presented by the Institute for Emerging Issues called “Reconnect Rural and Urban,” and the work of STEM SENC, one of five “points of light” that will be featured at the conference. The piece titled “Points of Light Connecting Rural to Urban,” was published in The Sampson Independent on January 24. The op-ed is included in its entirety below. Twenty years ago this month, I was just finishing up work with the “Rural Prosperity Task Force,” an intense, six month investigation of rural North Carolina. The 25-member group, made up of people from the rural and urban parts of our state, issued a series of recommendations designed to help rural North Carolina navigate through a painful series of body blows: huge job losses as manufacturing companies shuttered or shrank, a significant loss of income as the national tobacco program ended, and a slow hemorrhage of talent, as young people moved away. Since then, as near as I can figure, I’ve gone to 23 conferences focused on overcoming the “rural urban divide.” Next month in Raleigh, at a daylong conference called “Reconnect Rural and Urban,” NC State’s Institute for Emerging Issues will focus on a different way of looking at the challenge, highlighting examples of initiatives that are leveraging off of the collective power or rural and urban areas to make both stronger. We’ve identified five “points of light” - -from the southeast coast to the farthest points of western NC to serve as “stars” of the conference. STEM SENC (Southeastern North Carolina), a collaborative effort among over 30 stakeholders in 13 southeastern NC counties led by the University of North Carolina-Wilmington, is a perfect example of how rural and urban entities are coming together in recognition that their economic development fortunes are intertwined. Going forward, more and more workers will need STEM (science, technology, engineering and math) skills to hold the jobs of tomorrow, whether they are managing a farm or making breakthroughs in marine technology, creating a startup or improving plant efficiency. STEM SENC builds off of the strength of the region's formal and informal education providers, recognizing that if more people have these critical skills, every community will have a better chance to compete. “When I first became involved in the STEM SENC project I was looking for another avenue for our students, we are in a very rural area with not a vast amount of opportunities available to our students. Some of them have the abilities and capabilities to do STEM; they just don’t know what STEM is or how to get to their avenue or to their place.” said Roszena Devione-Bivens, Director, Student Support Services & Upward Bound Programs, James Sprunt Community College. It was Roszena’s hope when she joined the STEM SENC collaboration to find another avenue to take her students from “point a to point b” so they could be elevated in the community and hopefully one day return and give back to their community. Working and thinking regionally doesn’t mean county rivalries are ending, or that individual counties should stop telling the story of what they are doing. And it doesn’t mean that the state needs to stop paying attention to rural urban disparities in some areas when it comes to education, broadband and health care access. For the state to be competitive, we need smart, connected healthy citizens everywhere. But it does signal a recognition that workers are willing to travel, that companies don’t especially care where they find talent and economic development “victories” are not a zero sum game. We’re turning our spotlight onto STEM SENC and others to make sure everybody in the state knows that. Leslie Boney is director of the Institute for Emerging Issues. Their conference on “Reconnecting Rural and Urban” is February 11 in Raleigh (emergingissues.org). A limited number of scholarships are available for attendees from eastern North Carolina.